…this was our weekend in the Hawkes Bay, and needless to say, we enjoyed every moment of it! We stayed in a lovely area of Napier called Ahuriri, just across from the water. Besides our fantastic accommodation there, the other highlight of Ahuriri was the array of boutique shops and restaurants in the area. We went for breakfast at The Milk & Honey Restaurant which was just next door to our hotel (this place was constantly buzzing from 7am for breakfast right through to 10pm with people enjoying dinner and drinks), and although the menu wasn’t huge, what was on it was absolutely delicious, generous and at a very reasonable price. I was so impressed by the bircher muesli I had on the first morning, topped with greek yoghurt, honey and a fresh fruit salad that I just can’t wait to try making it at home. 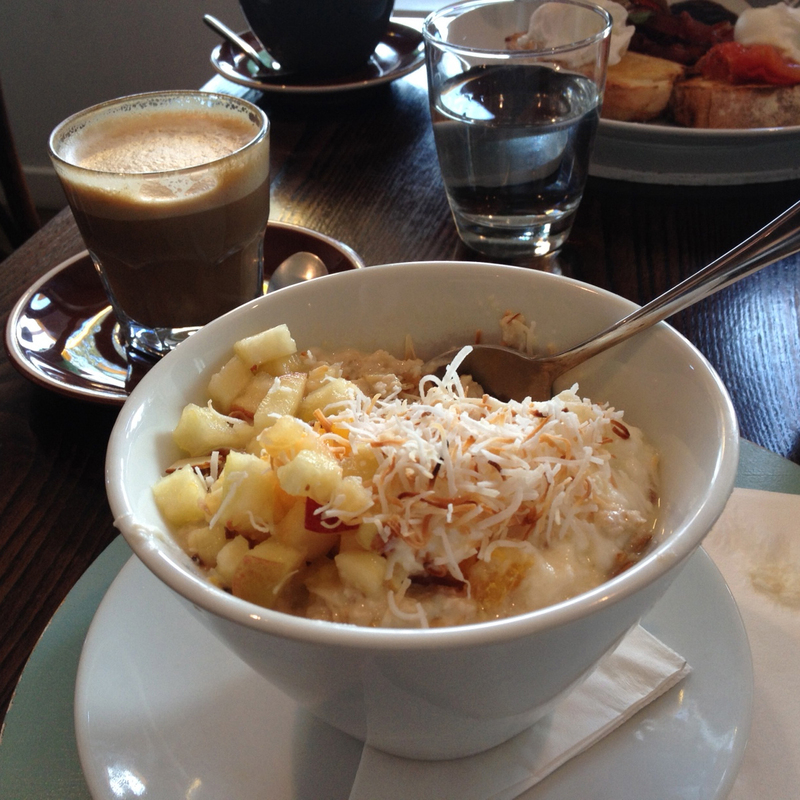 It wasn’t a hard decision to go back to Milk & Honey for breakfast the next day as well. After our breaky we went across to Havelock North. I had heard a lot about Black Barn Vineyards and had read about their Growers’ Market that they have every Saturday morning during summer, so we were keen to check it out. Once again, we were very impressed! Lots of locally grown organic fruit and vegetables, as well as lavender products, sauces (made by Black Barn themselves), chopping boards…. the list goes on! I couldn’t go past buying a bottle of Black Barn’s Very Spicy Chilli Sauce (yes, chilli sauce has always been a weakness of mine), and hubby enjoyed a coffee while I had a very refreshing juice made in front of me with watermelon, strawberry, apple and oranges. 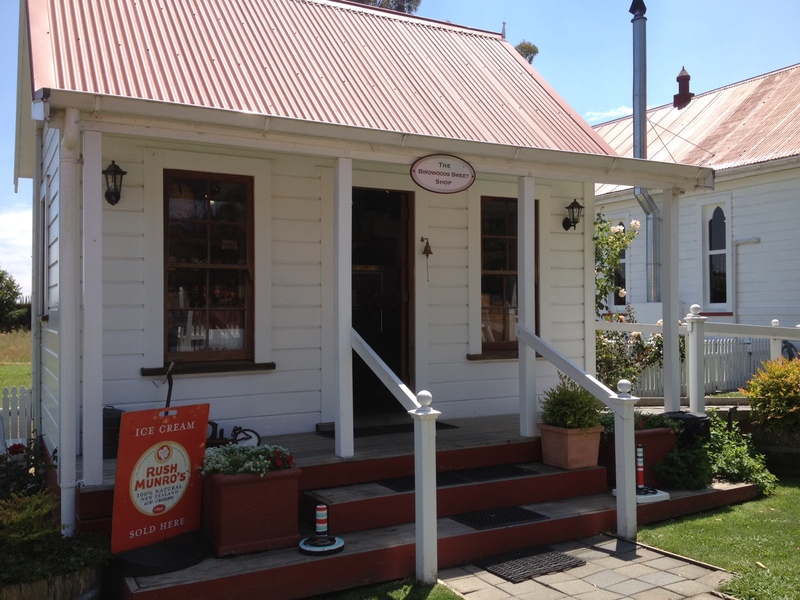 After Black Barn we explored Havelock North Village and also drove a few kilometers out of Havelock to Birdwood Gallery and Sweet Shop (another place I had read about). If you have a sweet tooth you won’t be able to resist the hundreds of different pick n’ mix sweets all neatly displayed in jars lining every wall of the delightful sweet shop (I’m still nibbling on a chocolate licorice log that I bought). They had everything you could imagine, even the sweets from our childhood memories that we thought we would never see or taste again. The gallery next door is also very interesting, full of different art works, rugs and sculptures. While you are there you can order tea and scones (or other afternoon tea treats) and enjoy them in their delightful conservatory or out on the lawn under the umbrella’s and big oak trees. Sunday was a quieter day for us, but we couldn’t go past just one more farmer’s market that we had heard about. This one was in Hastings at the show grounds, held every Sunday and is the biggest one in the area. It was full of hundreds of people coming to get their fruit and vegetables for the week, or stopping by for breakfast, or a coffee, or to enjoy fresh blueberry ice cream under the trees. Again, our taste buds were tantalized and we came away inspired to try growing new and wonderful things in our vegetable garden. These were just a few highlights of our weekend that I couldn’t not share with you, in the hope that if you’re ever in the Hawkes Bay you go and enjoy some of these lovely places like we did. It was a special weekend for us, our last ‘romantic getaway/free weekend’ before baby arrives (surprising I know because the baby’s not due until May, but yes, our calendar is very full!). We loved every thing about it and will definitely be going back to the Hawkes Bay again. Saved aѕ a favorite, Ӏ like уour web site!